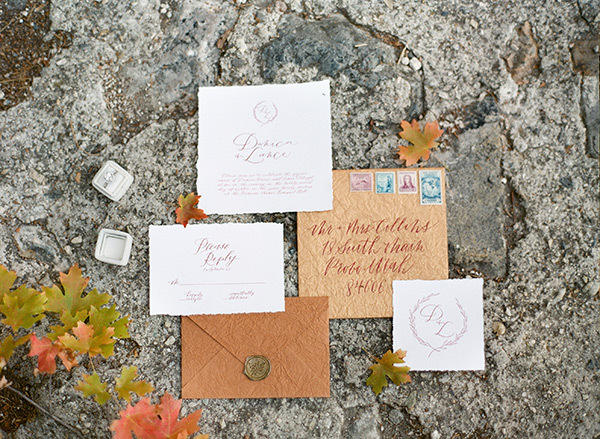 This fall inspiration is just what we needed to start our long goodbye to summer. 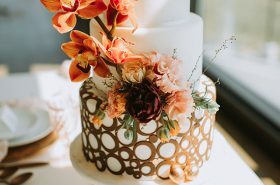 The color palette is tops (reds, oranges, and blues? 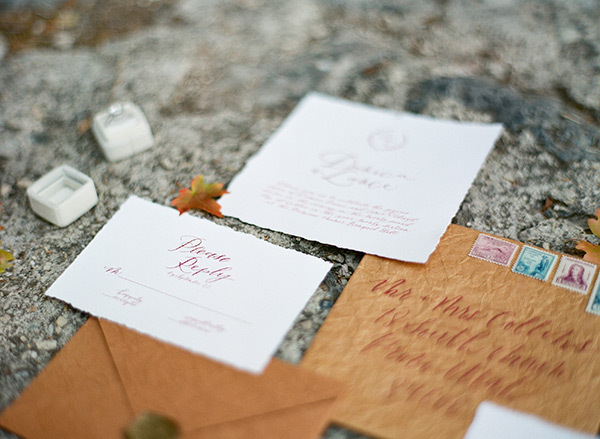 yes, please!). 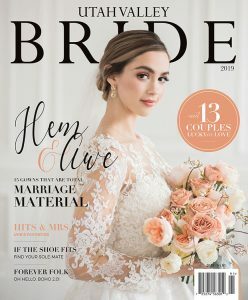 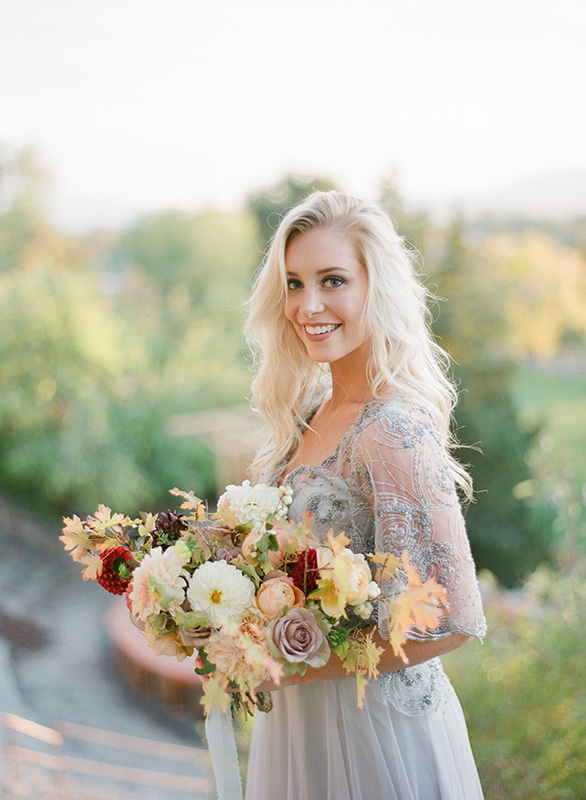 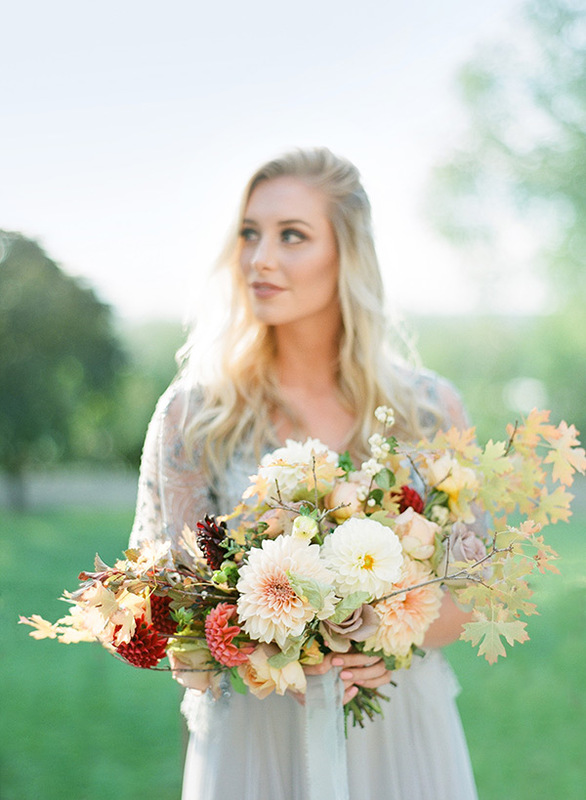 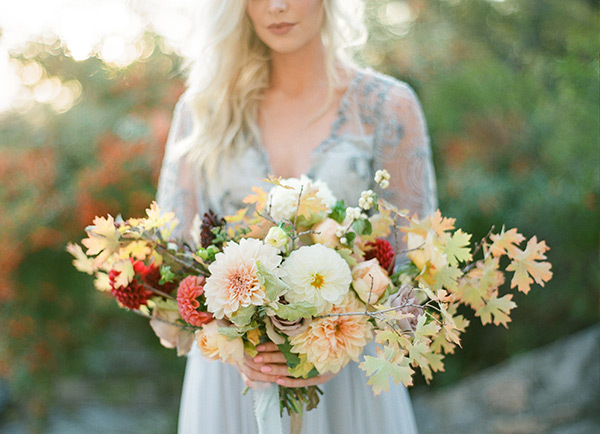 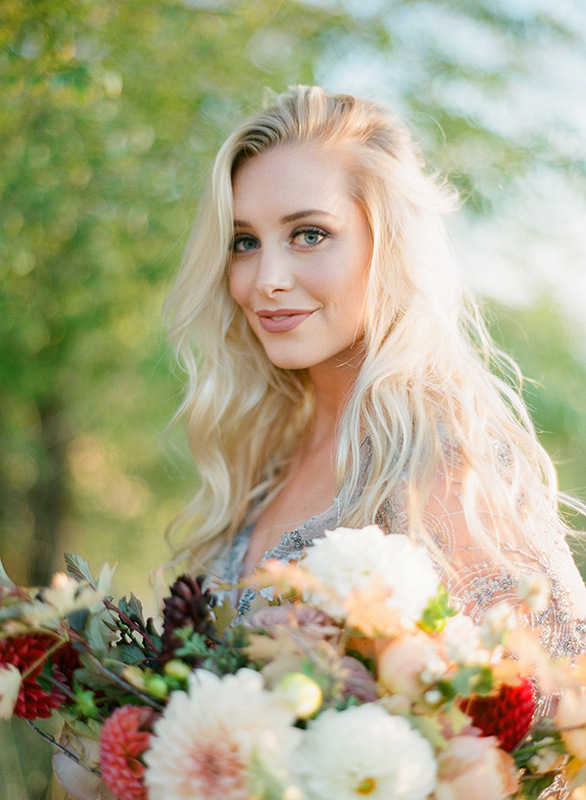 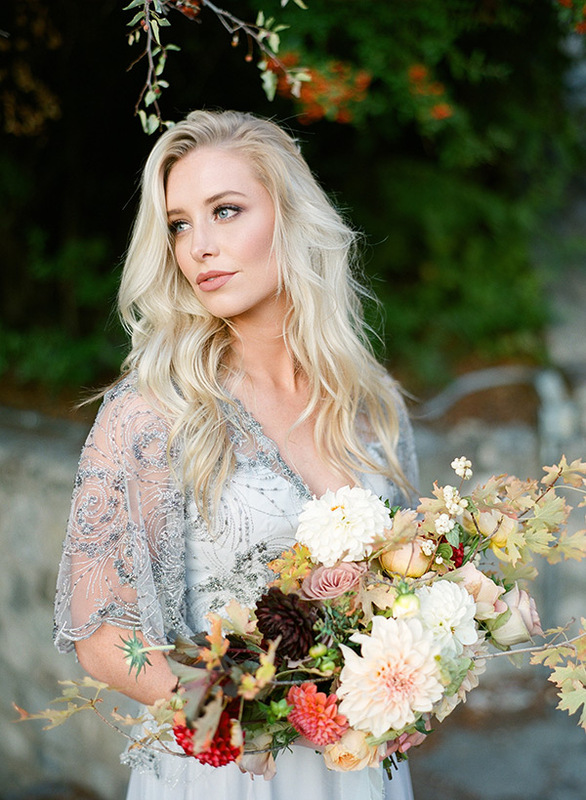 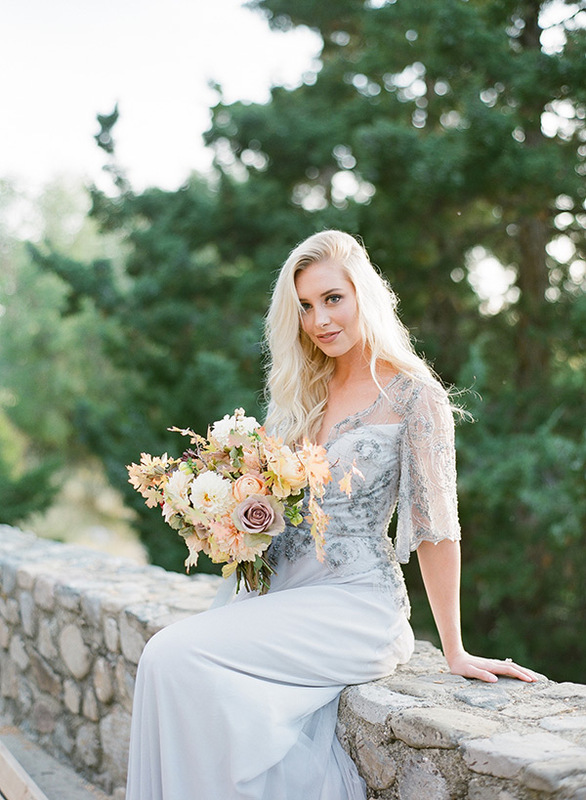 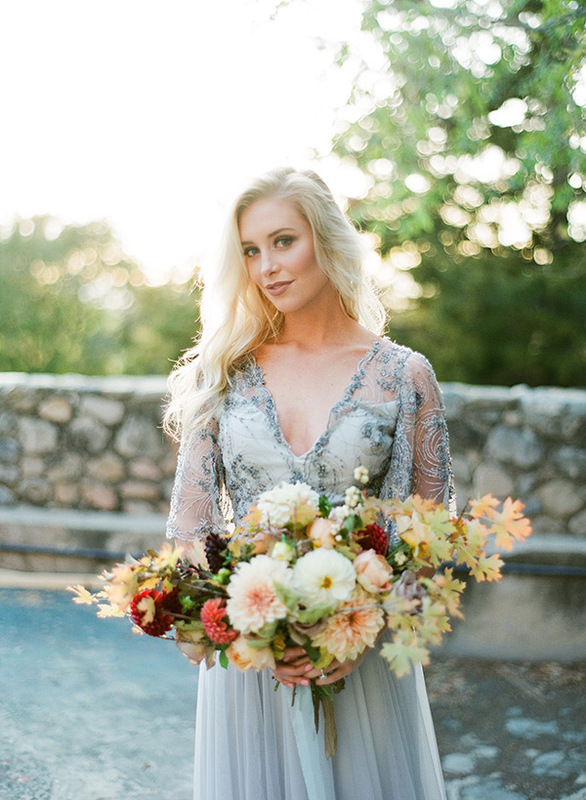 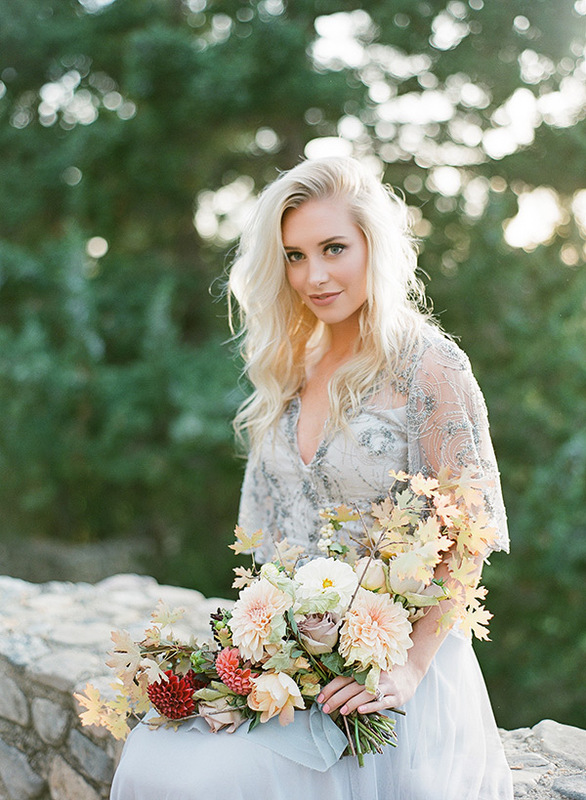 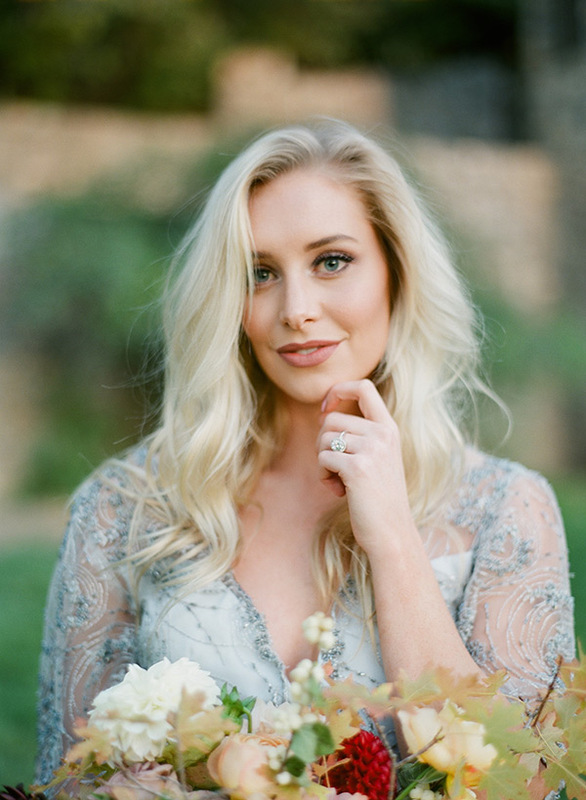 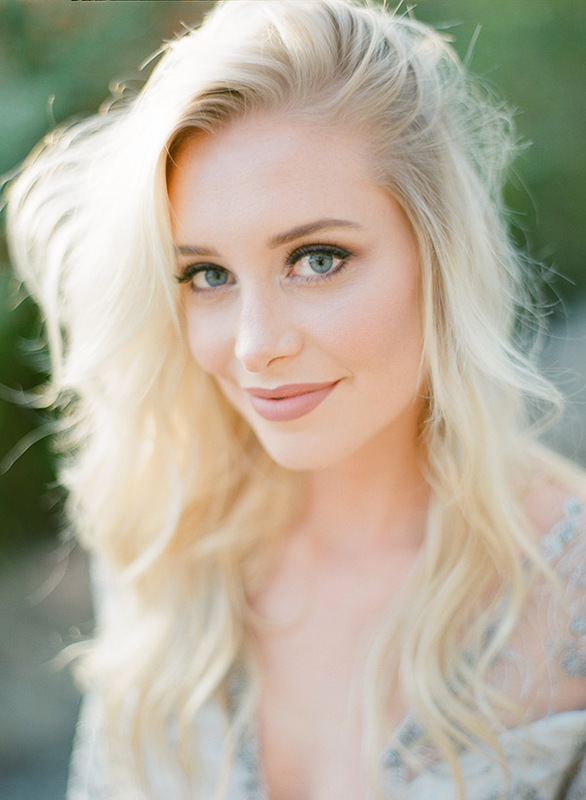 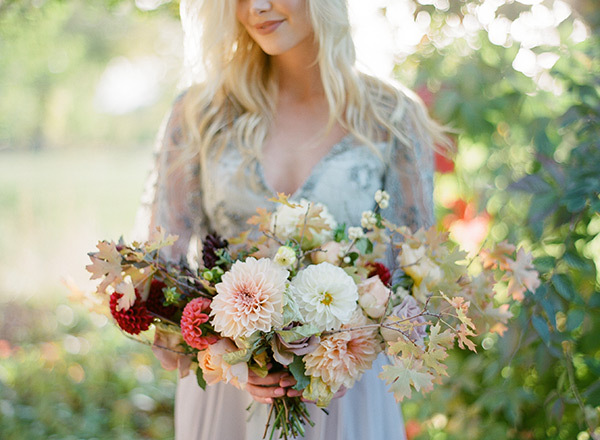 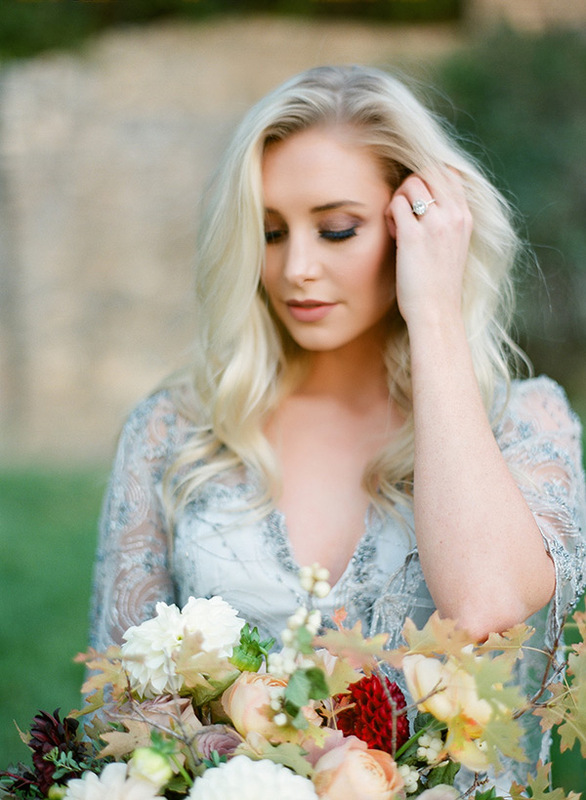 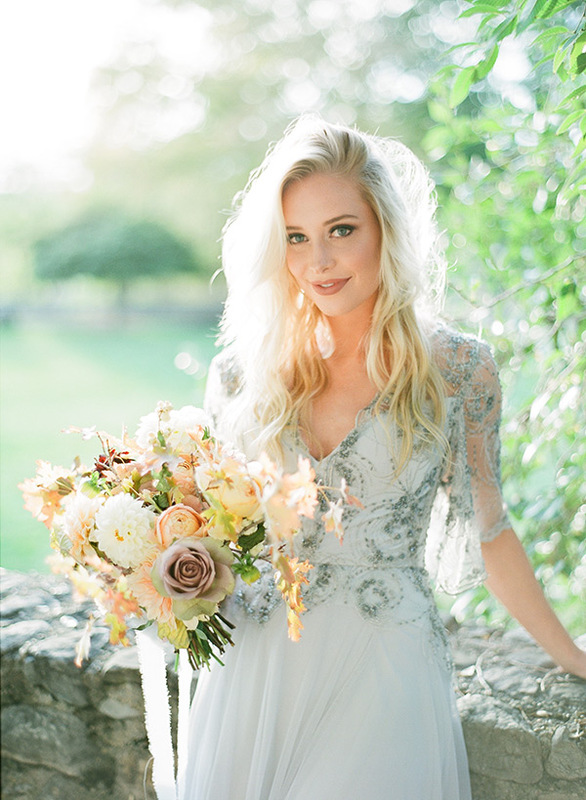 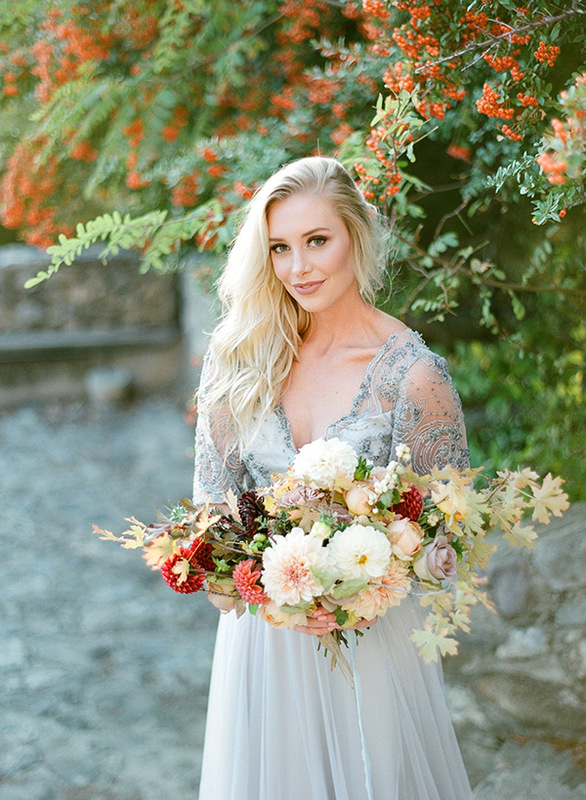 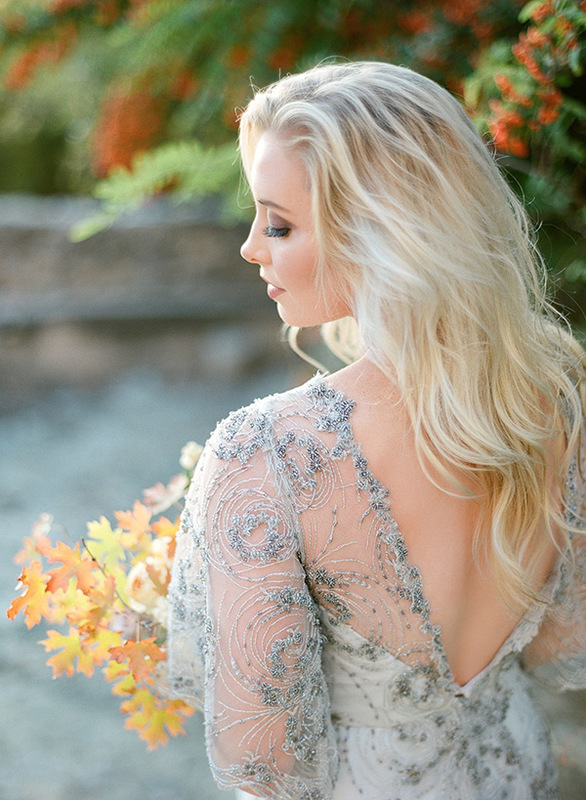 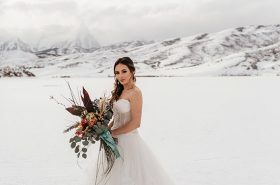 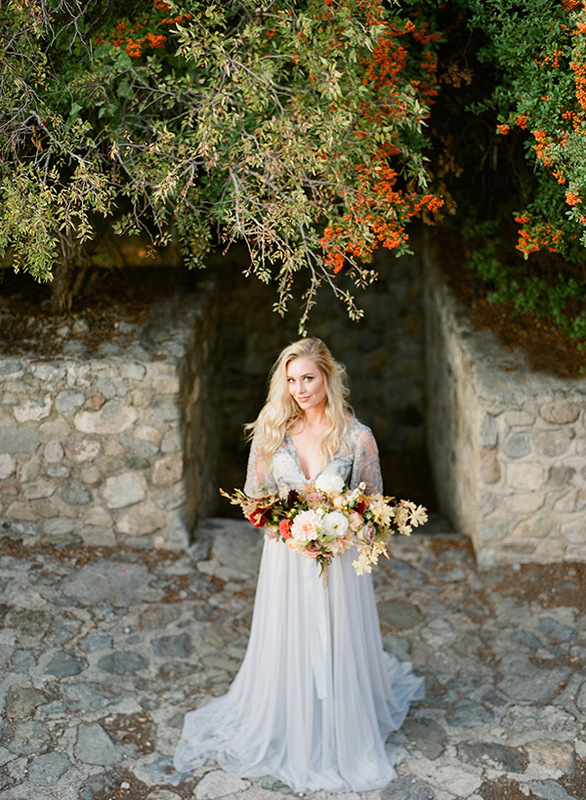 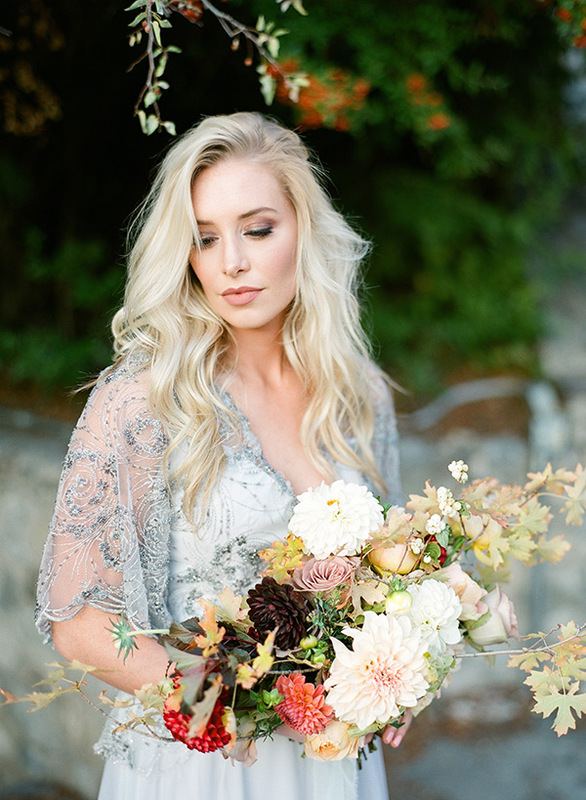 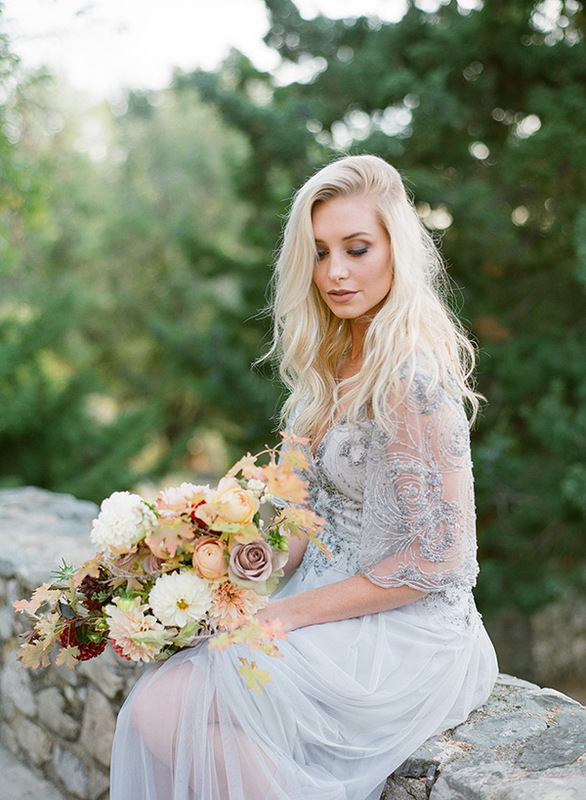 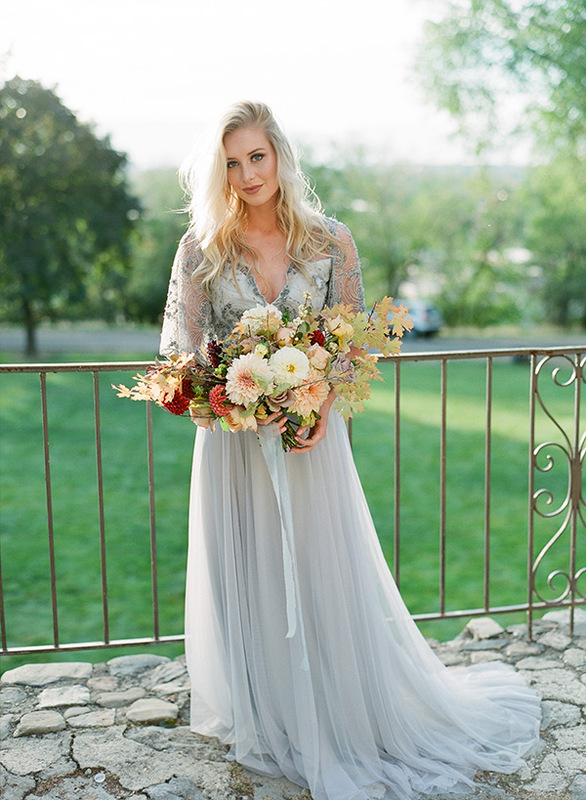 The styling is a stunner (we absolutely adore that fresh face and bombshell hair). 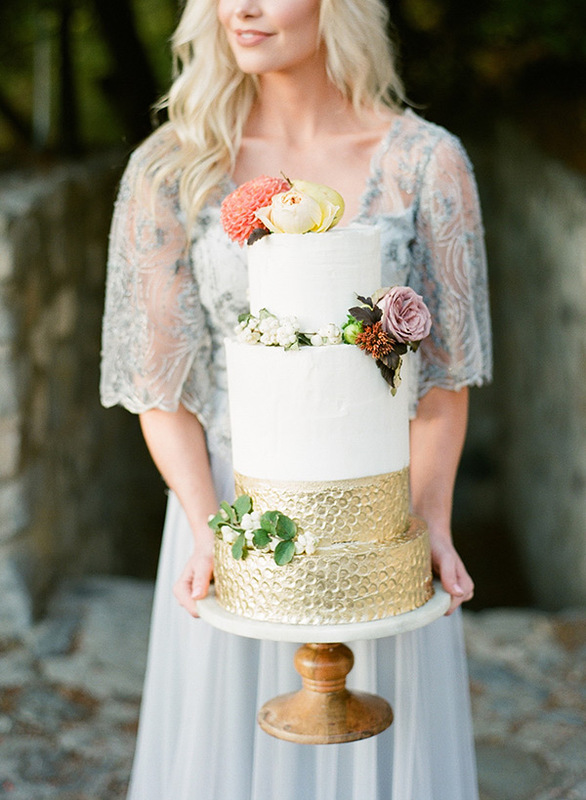 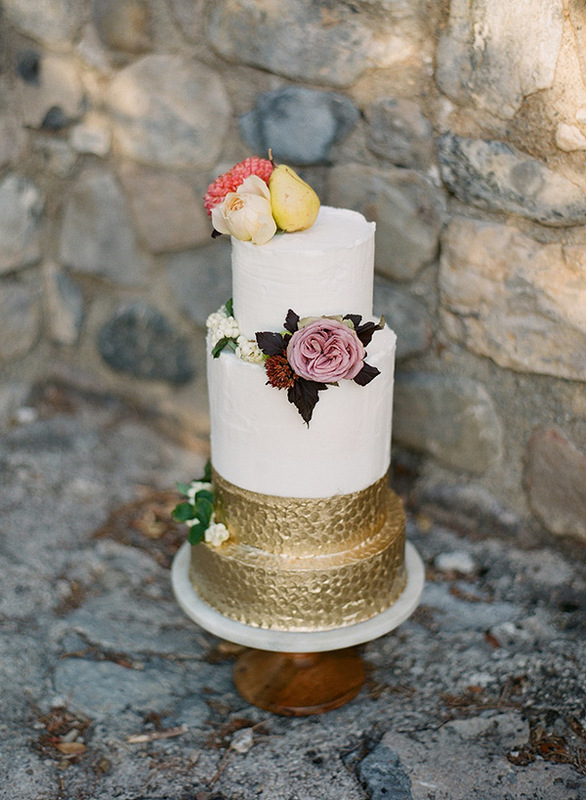 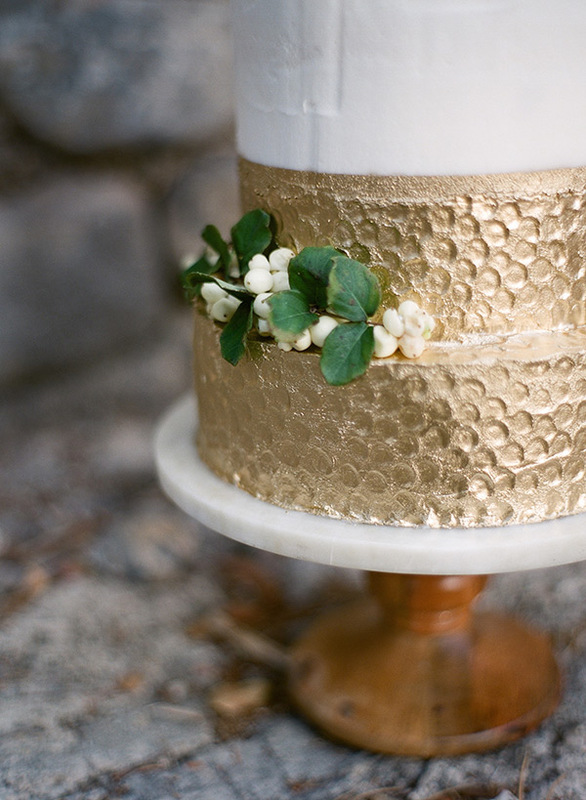 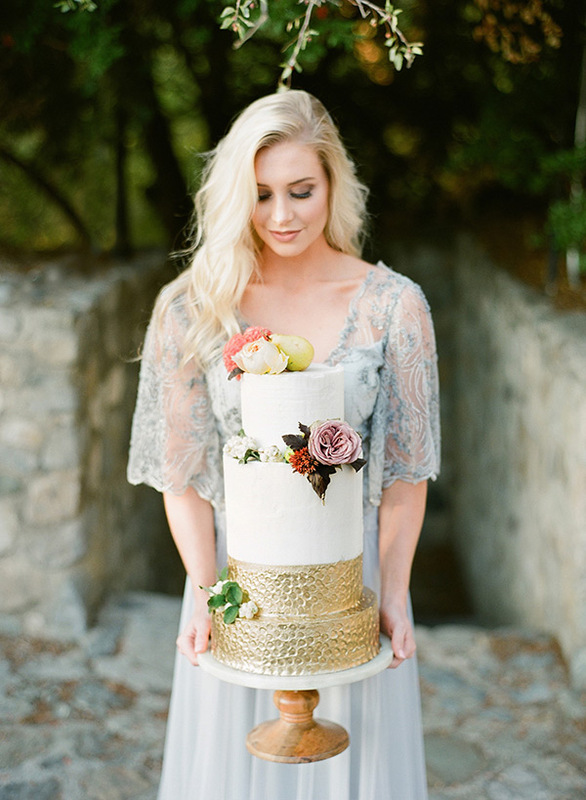 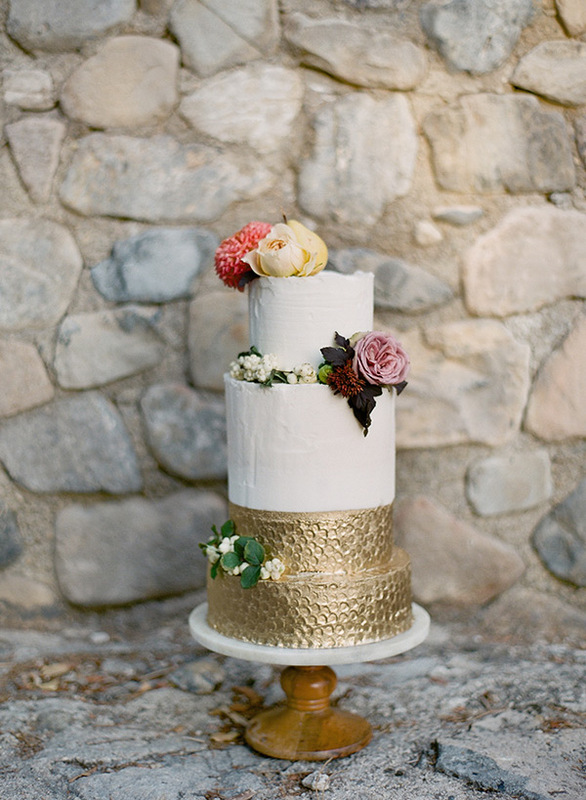 The cake is a showstopper (that textured gold is a literal tier from heaven). 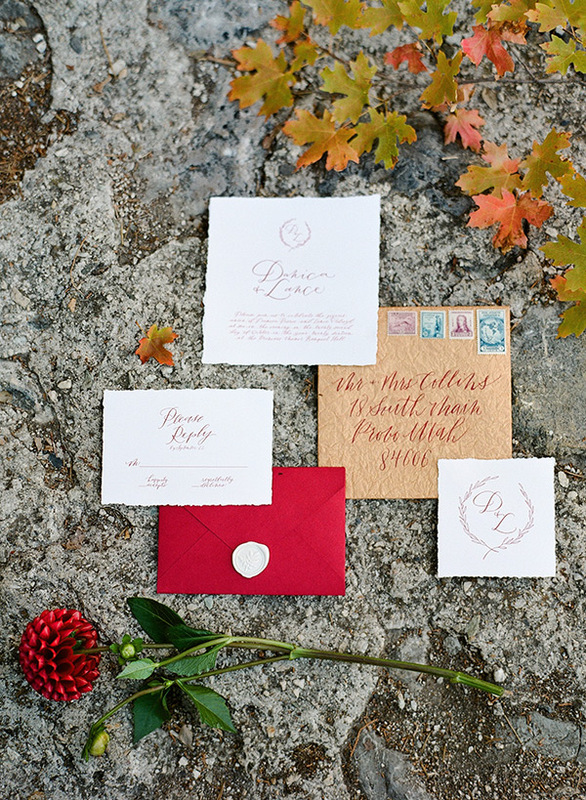 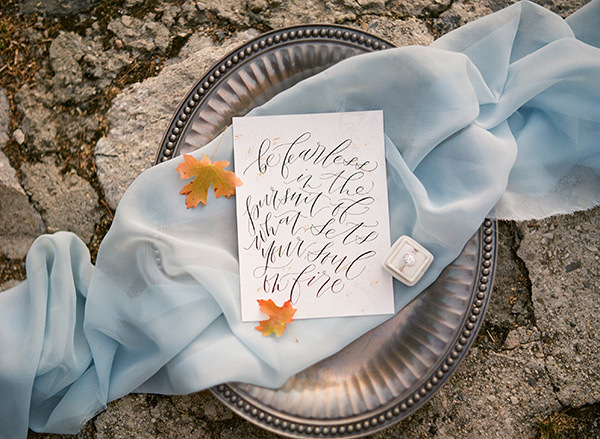 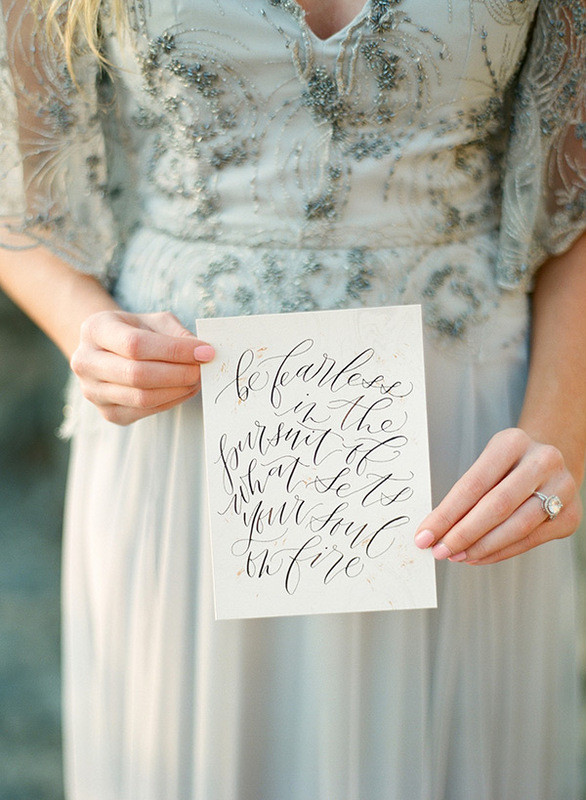 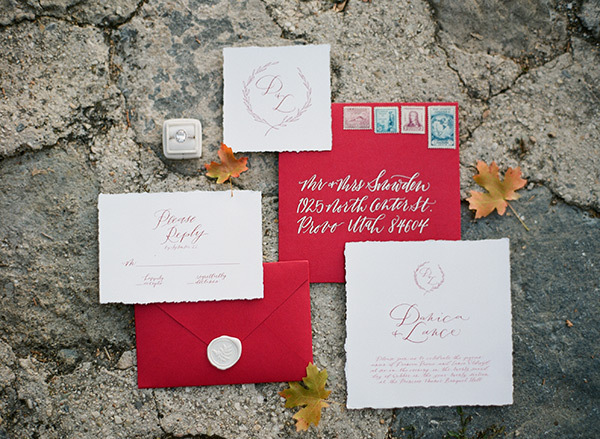 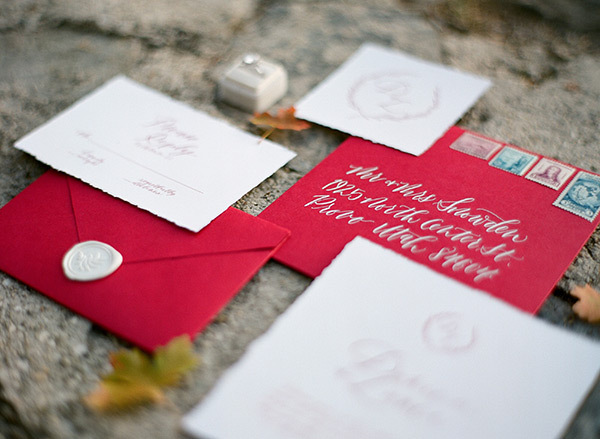 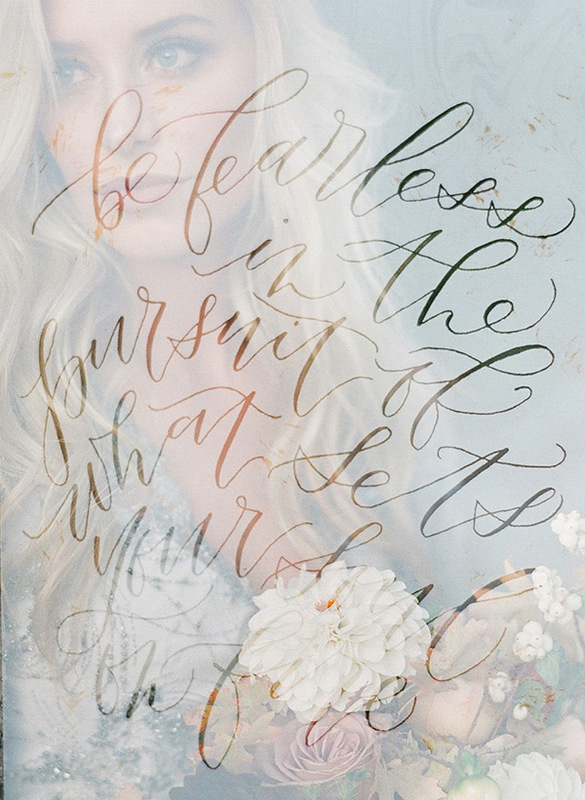 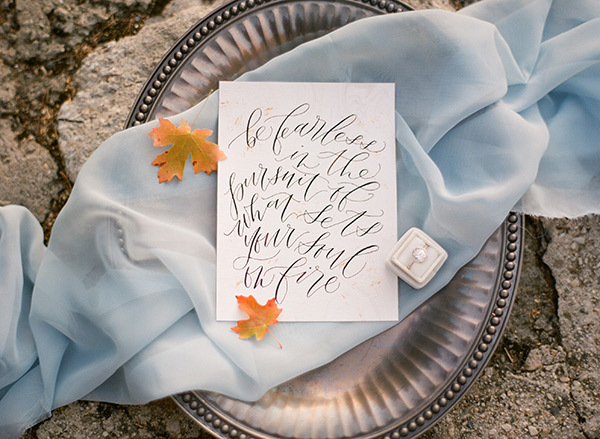 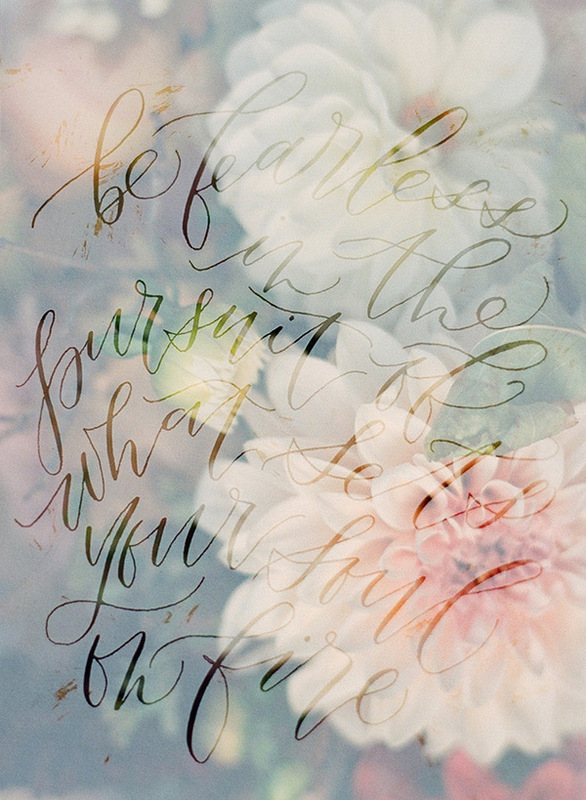 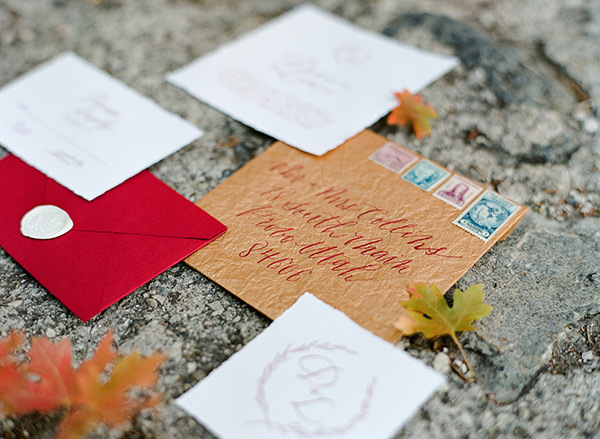 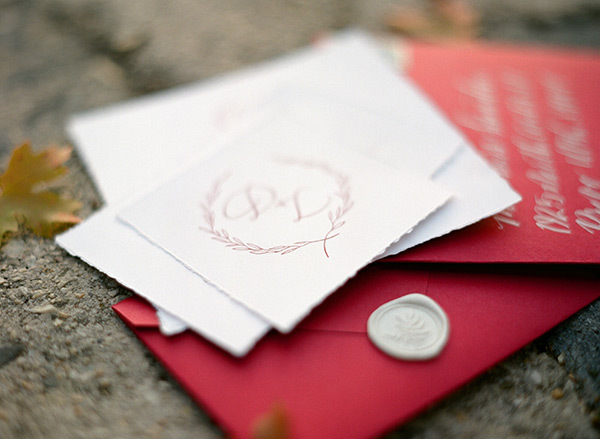 The paper details are effortlessly elegant (calligraphy forever!). 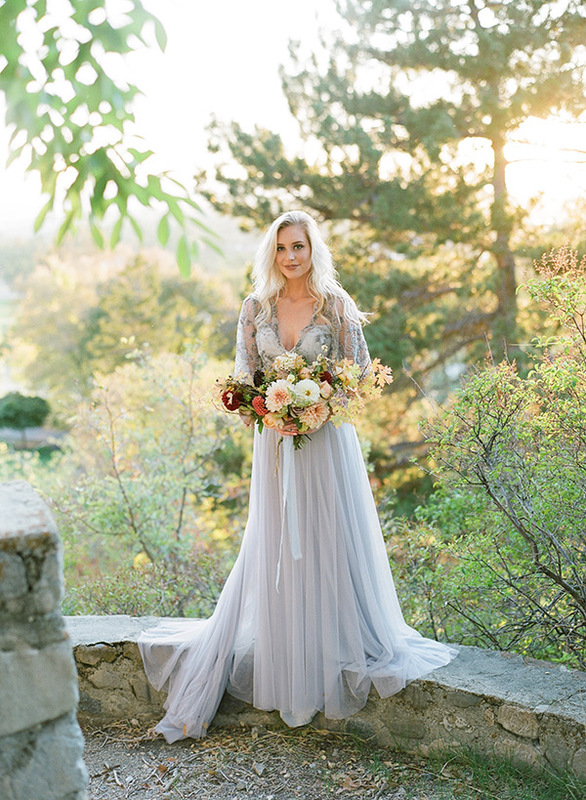 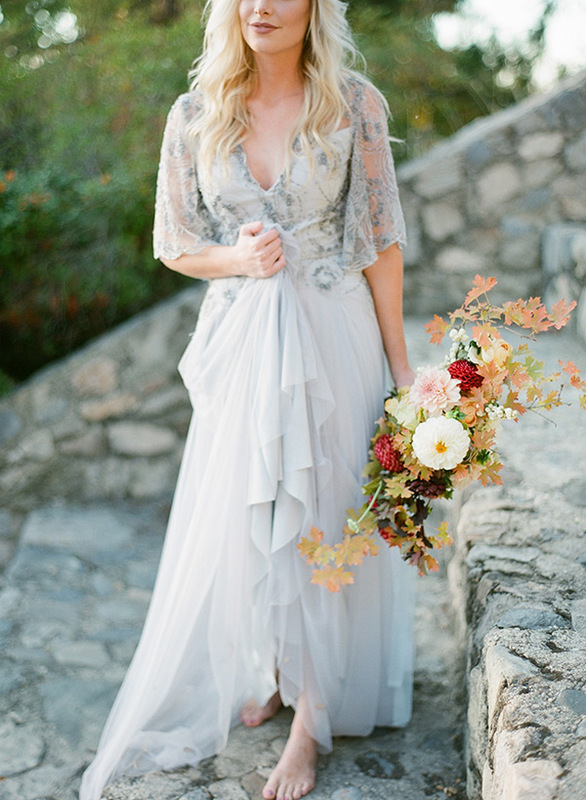 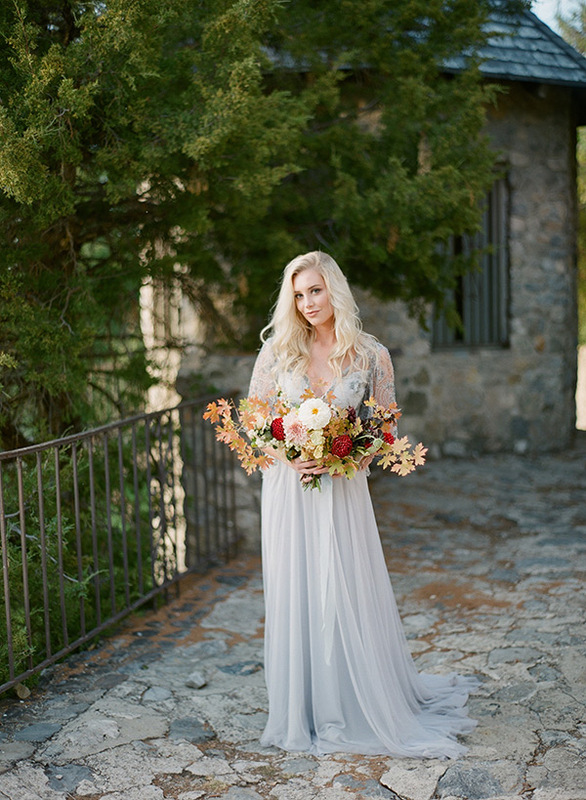 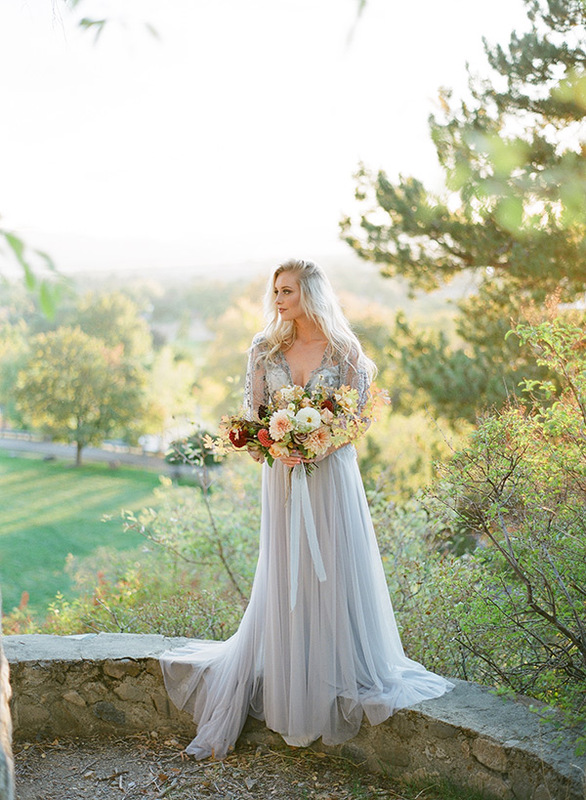 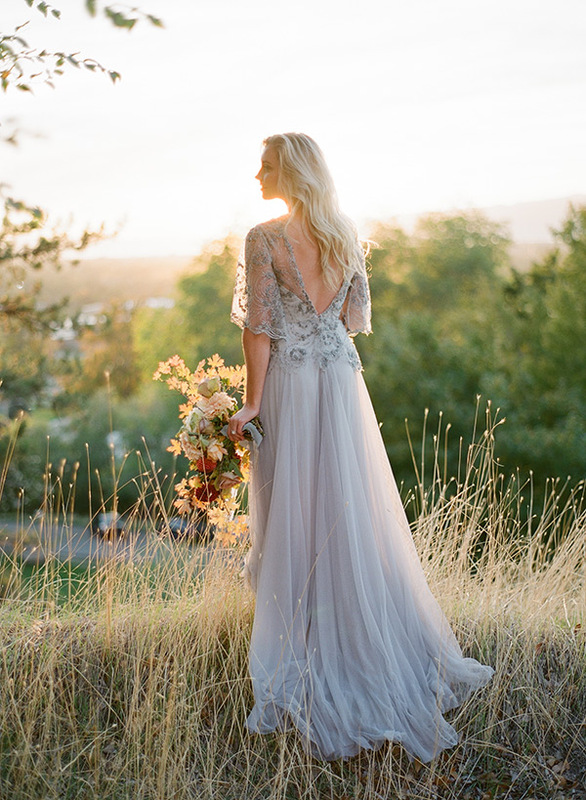 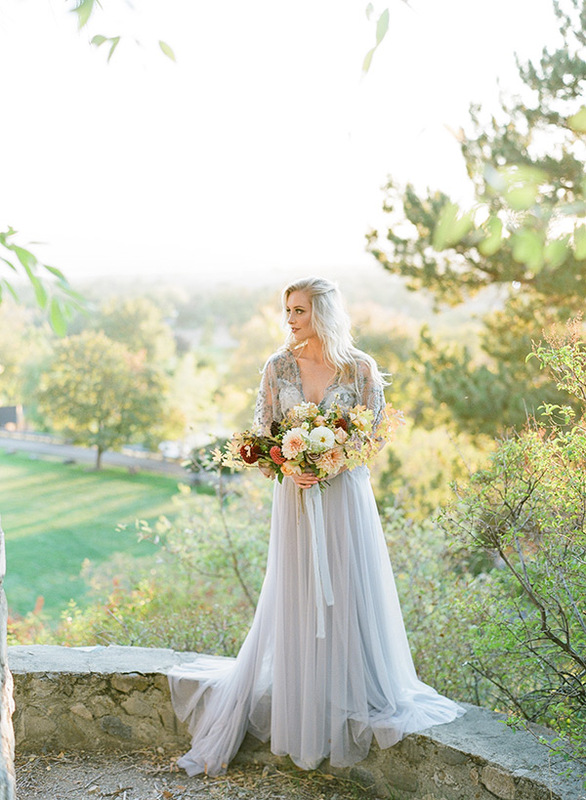 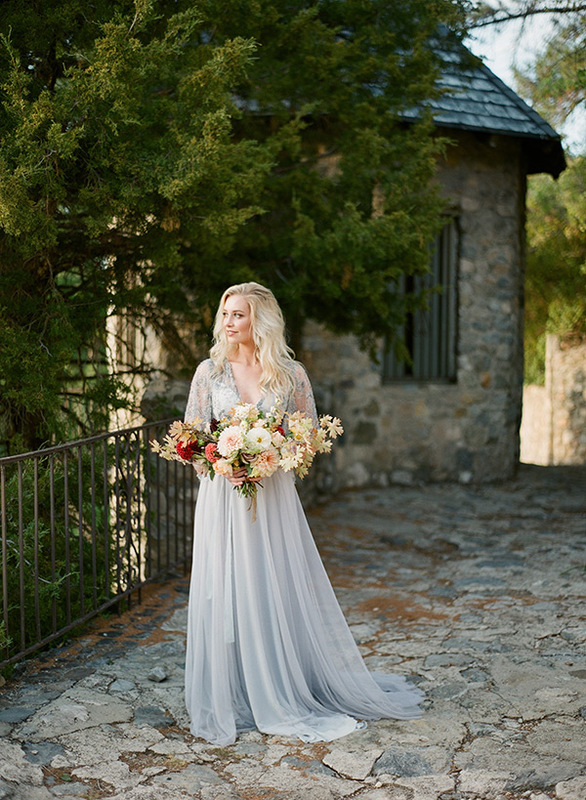 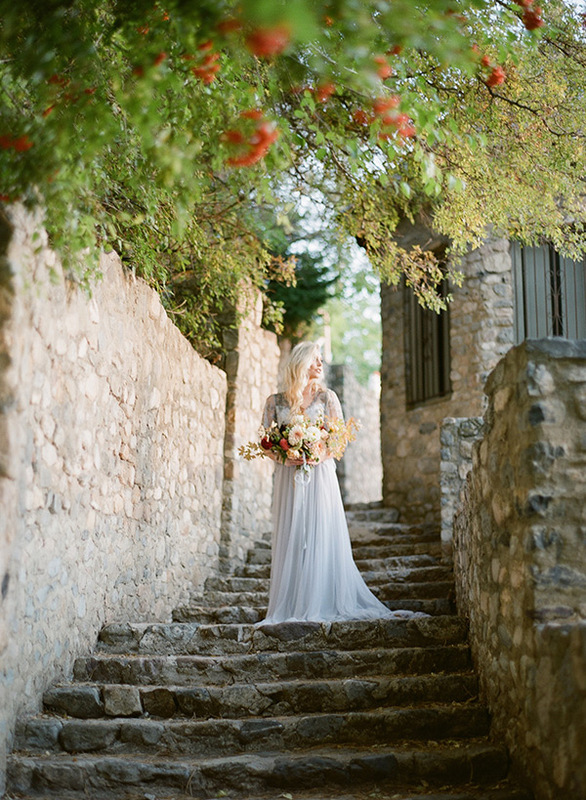 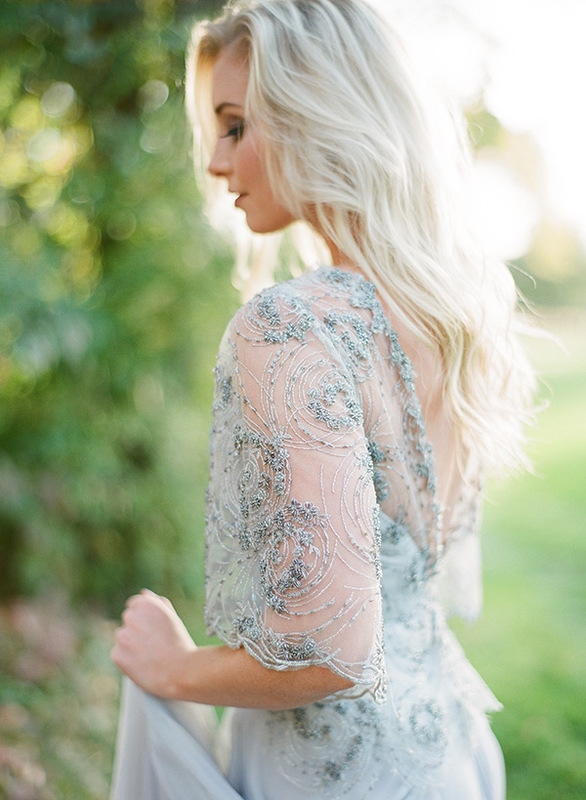 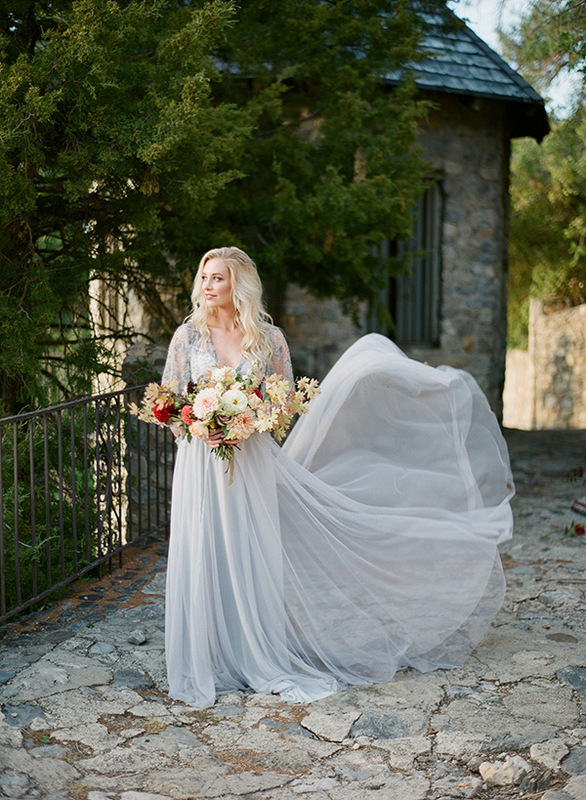 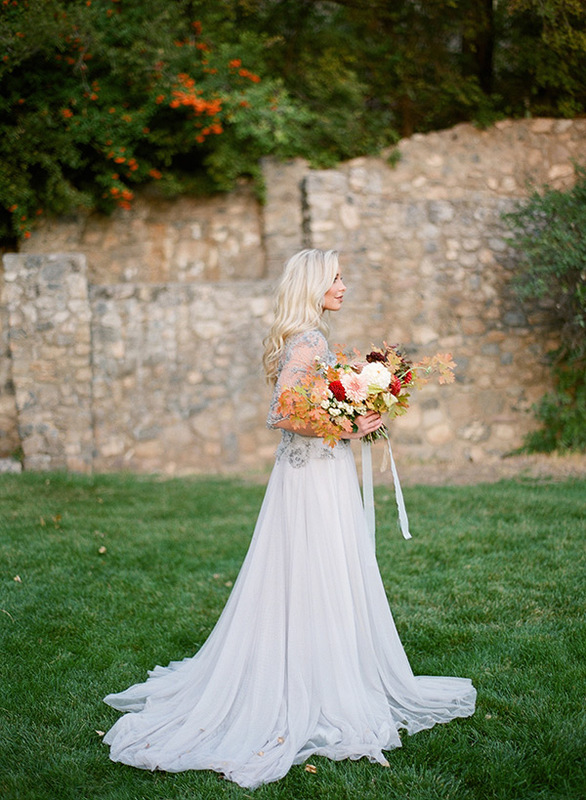 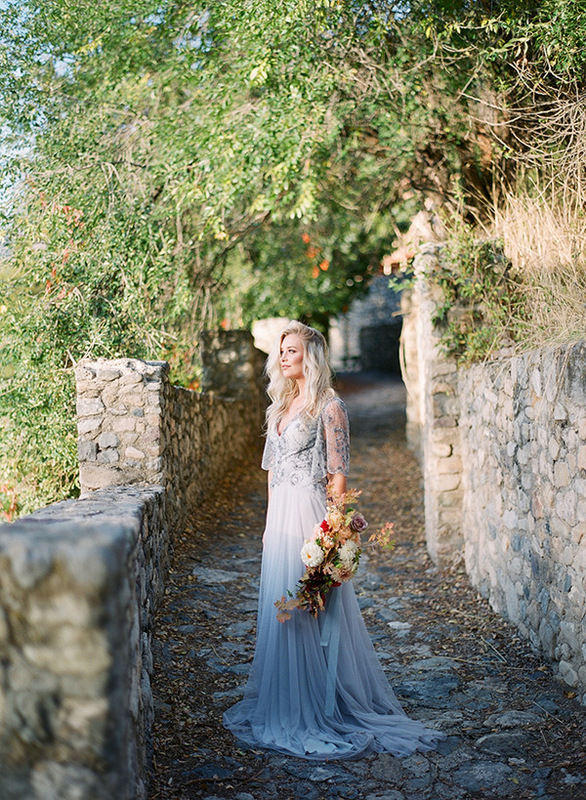 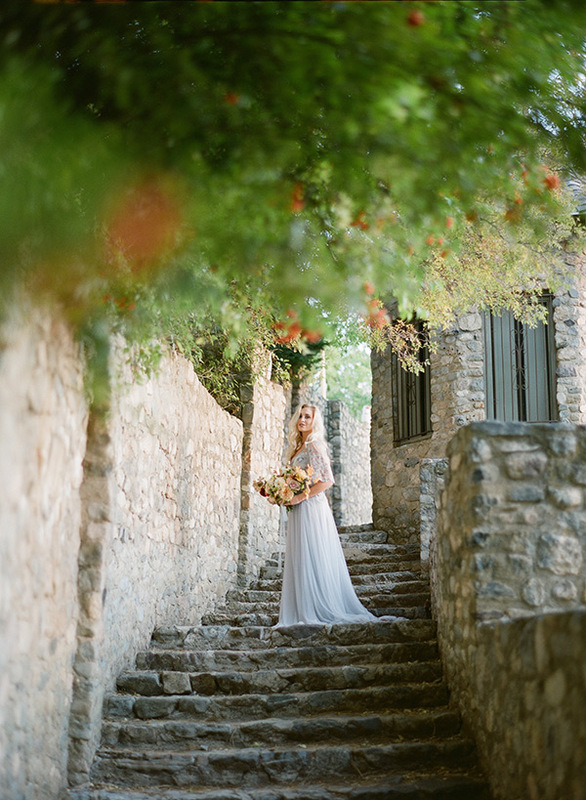 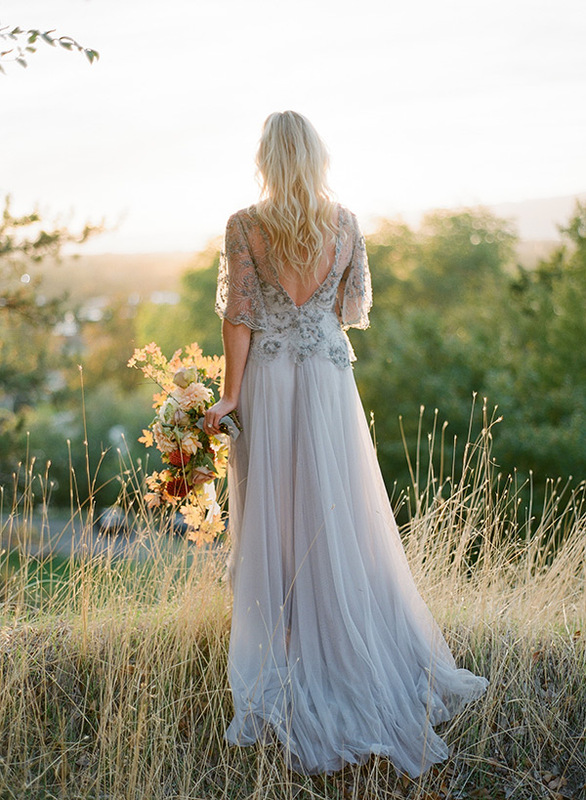 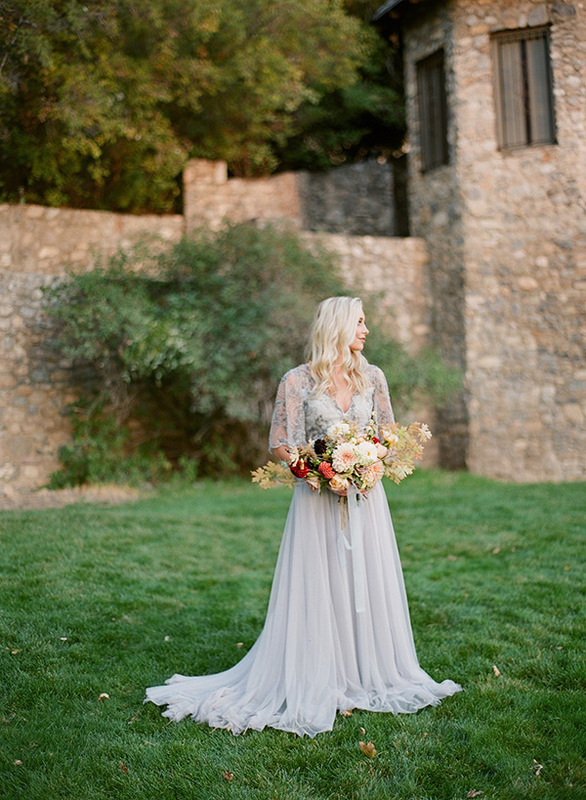 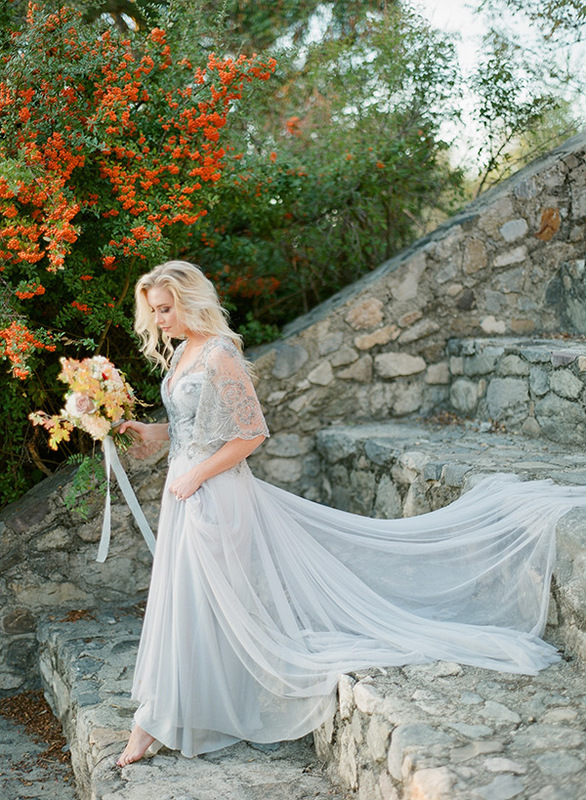 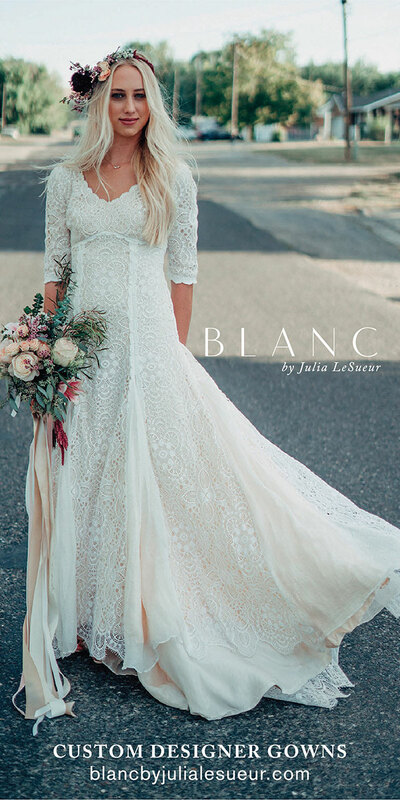 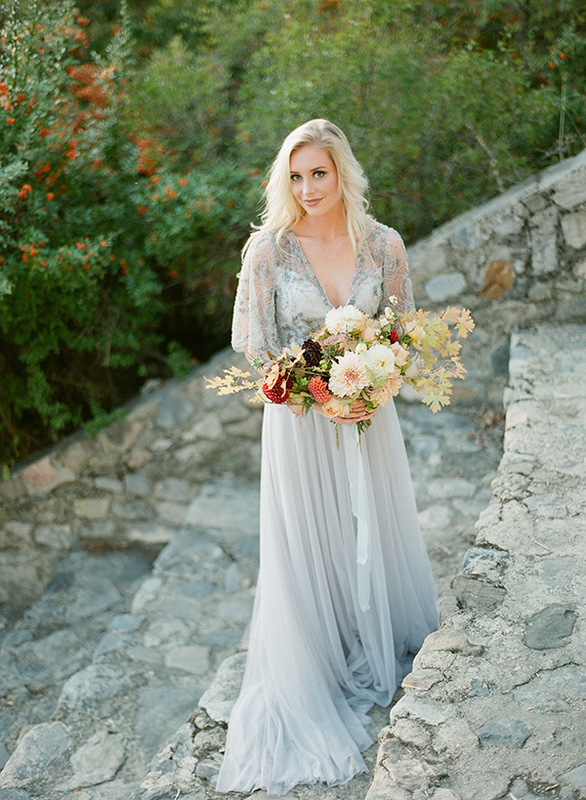 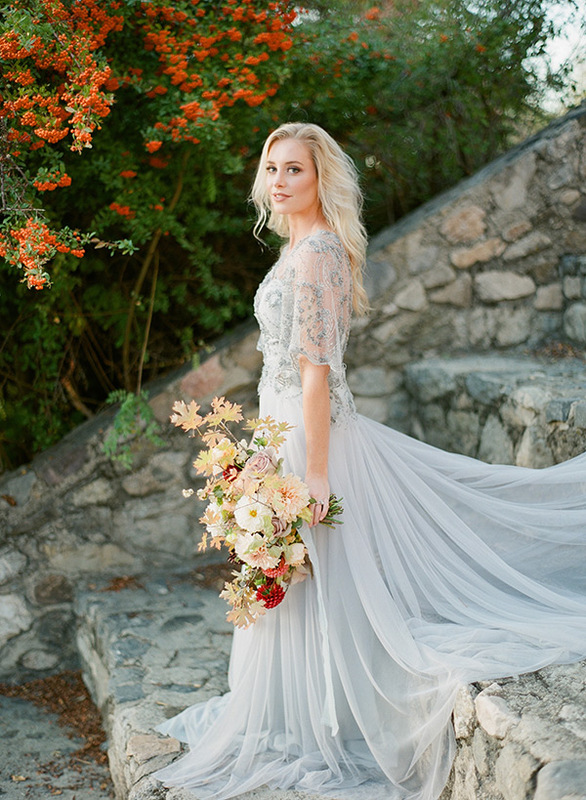 The gown is wonderfully whimsical (those elbow-length sleeves have stolen our hearts). 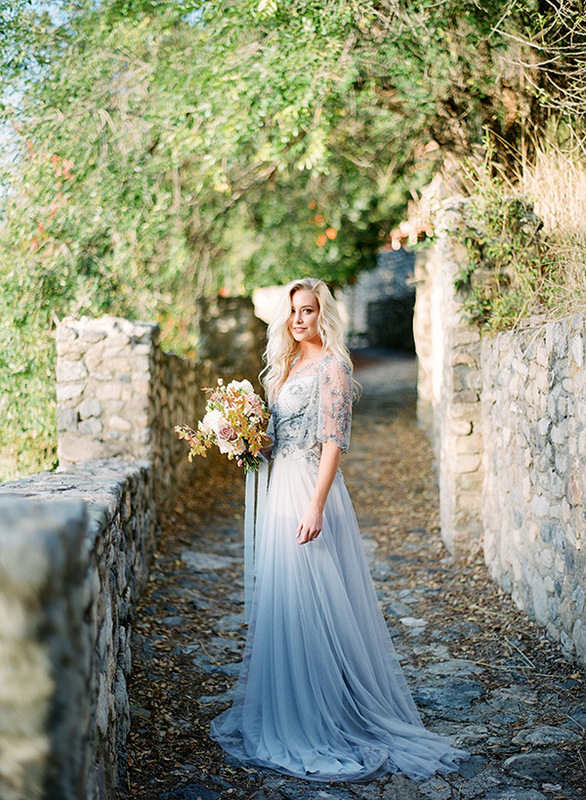 And the photography is engaging and effervescent (there’s just something about film images). 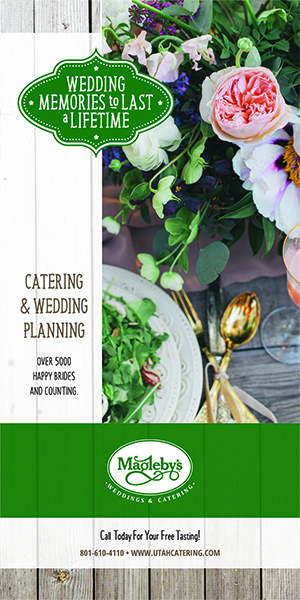 But don’t take our word for it (even though you totally could). 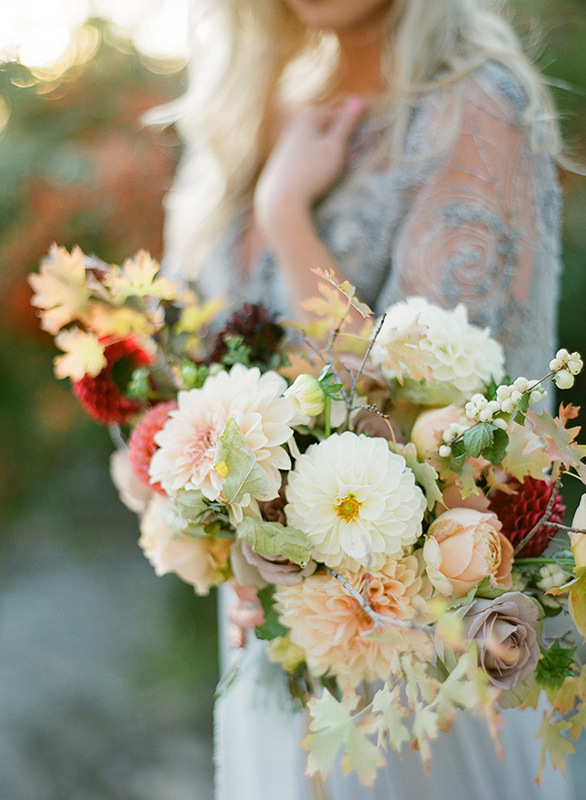 Scroll through these images and fall in love — over and over again.